There are lots of great automatic drinkers for sale around the place – unfortunately most of them cost a lot of money! 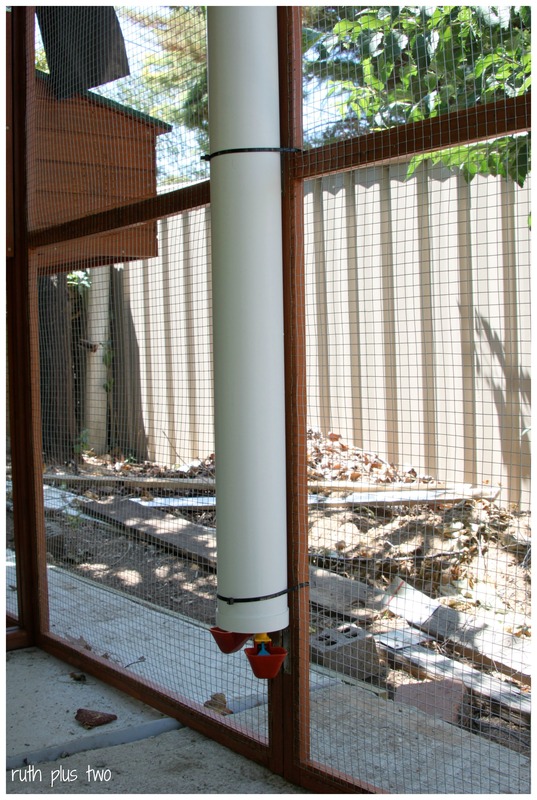 Whilst browsing on the Australian Backyard Poultry Forum, I came across a great thread about making your own. I have condensed all of those instructions and hints into this post…and added a few of my own. Let me be clear – this was not my original idea, I have just condensed the info from my own research online. What you need: a length of PVC pipe (mine was 1 meter long and 90mm in diameter), two caps to fit, one or two drinker cups (sometimes referred to as lubing drinker cups – we got ours from Royal Rooster for less than $20 including shipping), a drill and drill bit, permanent marker, masking tape (optional), silicone sealant (optional). We made this drinker in 20 minutes from start to finish, for under $30. If you used only one drinker cup, or could buy them locally to get out of paying shipping it would be even cheaper. First, work out which drill bit you need. As the threads of my drinker cups were tapered, I chose a drill bit the same diameter as the smallest part of the thread so that, as I screwed them in, the wider part of the thread would form a good seal. You want the cup to screw in as snugly as possible. Work out where to position your first hole on one of the pipe caps. 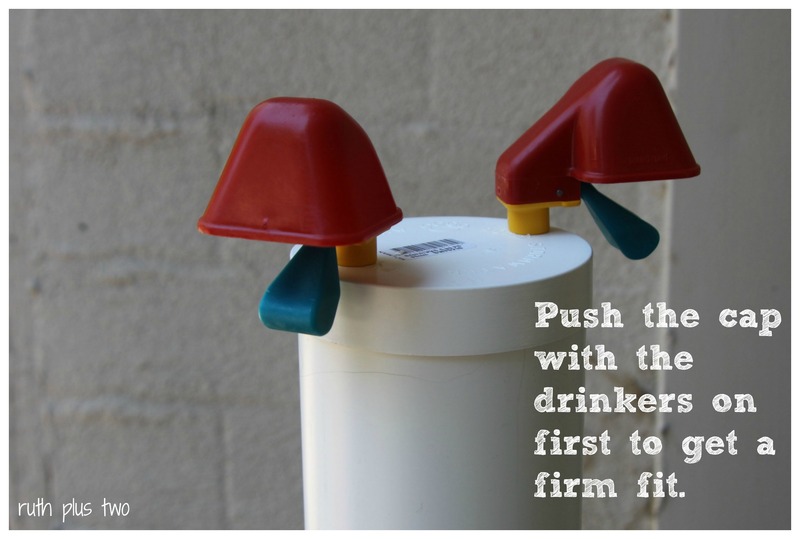 Make sure it’s close enough to the edge that as much of the drinker cup as possible is available to the chicken, but leave enough distance so that the internal section of the drinker cup clears the pipe when it’s inserted into the cap. Mark the location of the hole with your permanent marker. 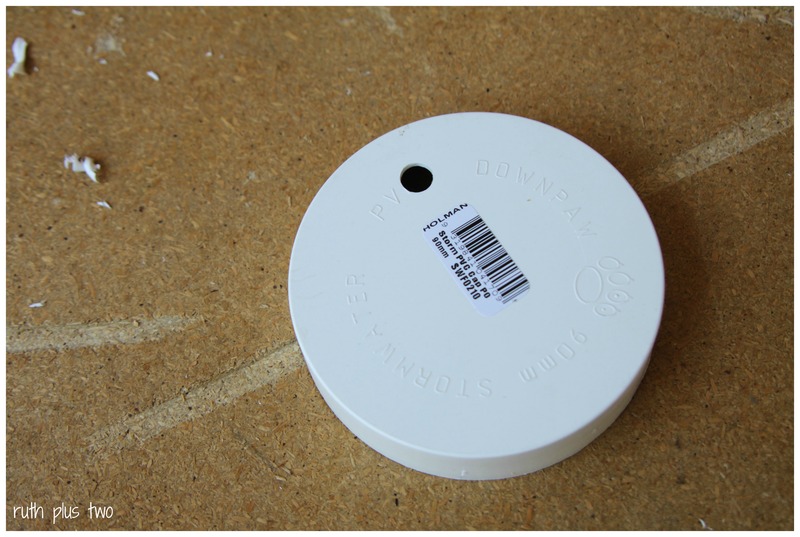 I read a hint that the drill bit can travel a bit, so it can be handy to make the mark on some masking tape. Another hint was to make the first hole with a small drill bit, and then follow with a larger drill bit to reduce the risk of your plastic cracking. Drill your first hole, and screw the drinker cup in firmly – it might take a little effort to get the thread to catch in the hole. If you’re only adding one drinker cup, you’re done! If you want a second drinker cup, work out where to drill your second hole. 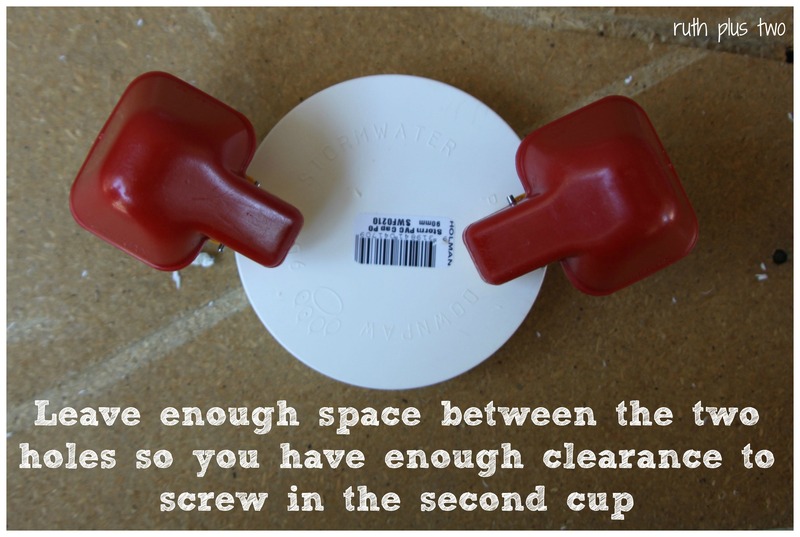 You need to make sure the holes are far enough apart that you have enough clearance to screw the second cup in (ask me how I know that…let’s just say that the cap on the top of my drinker has two holes in it!). Drill the second hole and fit the second drinker cup. At this stage, you can add some silicone around the holes on the inside. I didn’t, because when I poured some water in, it appeared watertight (a few weeks on, it’s still fine). Push the cap onto the pipe. Again, I didn’t use any silicone as it wasn’t leaking. Also, just pushing it on means I’ll be able to pull it apart for cleaning. Test your set-up for watertightness by filling it with a few cups of water and watching for leaks. 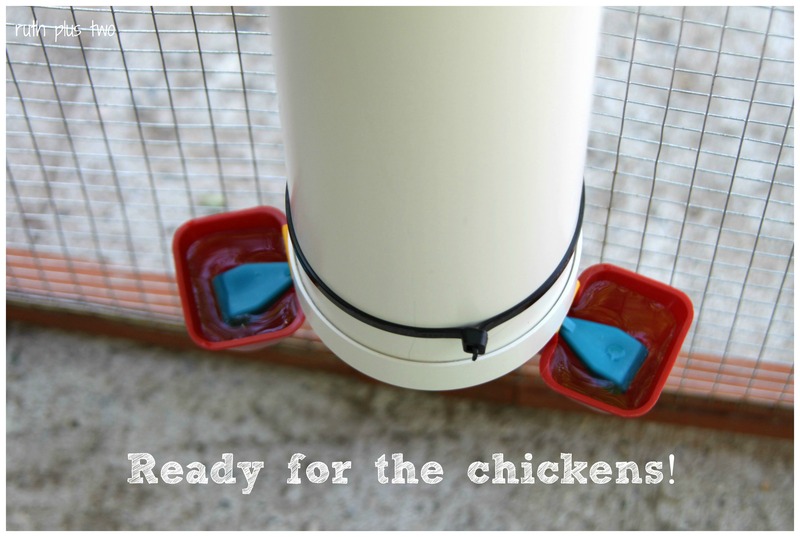 Attach the waterer to your chicken coop/run. 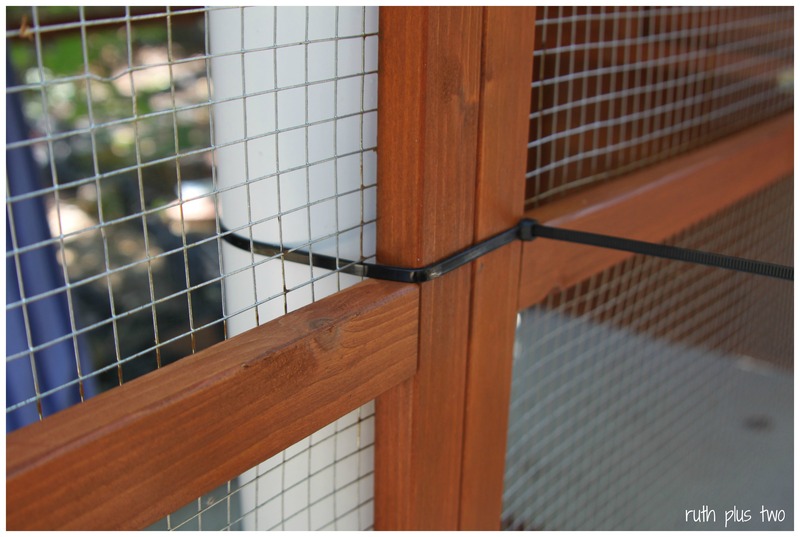 We did this using cable ties, but you could also buy a stormwater pipe bracket if you can screw it to a solid surface. Because I wasn’t sure how the structure of our run would cope with the weight of the waterer, I fitted it at a height where I could pop a brick under it to take some of the weight if needed. It turns out that we’ve not had a problem. I’ve watched the chickens using the drinker and I think we’ll raise it a little next time we’re working in the coop. Pick a spot where the waterer will be out of the sun – you don’t want your water to heat up or your chickens won’t want to drink it. 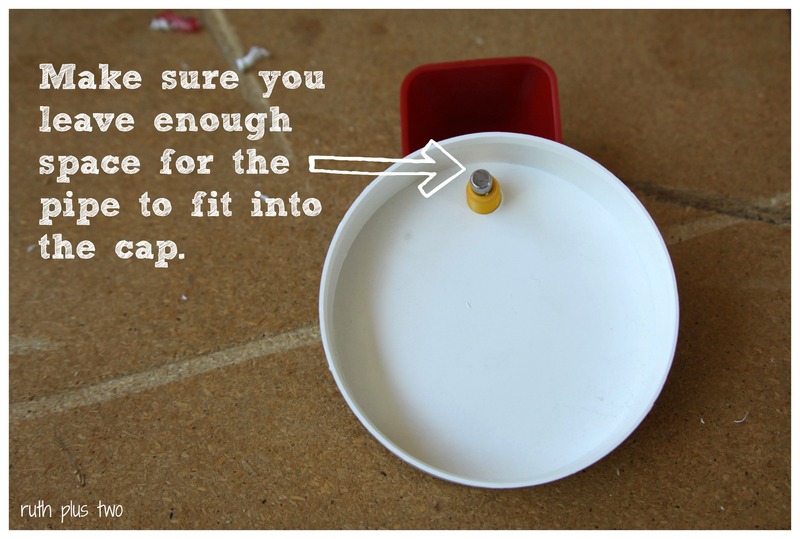 Fill with water, place second cap on top. This one holds approximately seven litres. For the first few days I provided the chickens with an additional water source because I wasn’t sure if they were familiar with this style of drinker. Once I’d seen all of them use it a few times, we took the other container away (they were scratching all sorts of muck into it). The main advantage of this type of drinker is that the chickens can’t dirty their water. I was a little concerned that the drinker cups could seize up, which is why I added two. If you have a large number of chickens you should consider adding two cups, or making more than one drinker. I think the chickens find these cups easy to drink from. They don’t have to peck the float to get water – there is always water sitting in the cups, which refill whenever water is drunk or evaporates. We will be adding a few teaspoons of apple cider vinegar and a clove of raw garlic to the drinker each time we refill it, to keep internal parasites (worms) at bay. Let me know if you make your own chickens a drinker or if you’ve got any handy hints to add. I’d love to see what you come up with! This entry was posted in chickens, DIY, tutorial. Bookmark the permalink. Wow – that’s really cool You handy family.